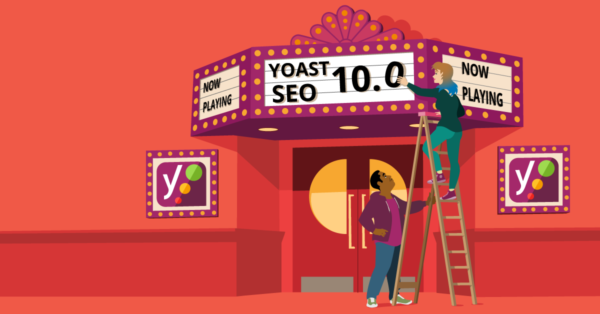 It’s been in production for many months, capped off with two months of beta testing, and now it’s finally here: Yoast SEO 10.0! Yoast SEO 10.0 features a new SEO analysis, based on thorough research and fine-tuned with your feedback. More than 100.000 people helped us test this release to make it our best yet. Thanks, everyone! Please welcome to the stage: Yoast SEO 10.0 and its state-of-the-art SEO analysis. Why change the SEO analysis? SEO is never done. SEO changes constantly. While the basics keep fairly static, a lot of the playing field is different from years ago. We’ve learned a lot over the years about SEO in general, the importance of language, information extraction, and content analysis, among other things. One thing we learned, was that we should put more effort into researching our recommendations. Turned out we could improve communication about why we do what we do. That’s one of the things we wanted to fix in our new SEO analysis. Almost a year of research went into Yoast SEO 10.0. We turned every nook and cranny of the SEO analysis upside down and inside out. We combined the insights of many SEO experts, linguists, developers and content specialists with research and common sense to come up with a set of improvements. All this lead to this moment, the release of a new SEO analysis in Yoast SEO 10.0. As of today, optimizing your content with Yoast SEO 10.0 is a lot more realistic. 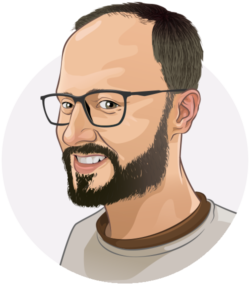 What changed in Yoast SEO 10.0? There were so many findings that we spread the development of features. One of the main focus points was improving the way we analyze and handle languages. Yoast SEO had to get smarter. These were no easy fixes, so these were developed separately by our team of linguists. That’s why we launched parts of the new SEO analysis earlier, like keyword distribution, word form and synonym support in Yoast SEO 9.0. The bulk of the changes coming from this project, however, are in this release, Yoast SEO 10.0. Keyphrase density. This assessment now takes the length of the focus keyphrase into account, because it can be much harder to use a longer keyphrase in your text. In the new version, you’ll need to use your longer keyphrase less often in the text than a shorter keyphrase to get a green bullet. In addition, if you write in English, Yoast SEO Premium recognizes various word forms of your focus keyphrase — for instance, [dog], [dogs] or [doggie]. Naturally, your keyword density becomes higher. This is not because you are trying to over-optimize your text, but just because the plugin became smarter. We adjusted the formula so that you do not get red bullets too quickly. Keyphrase length. In the new Yoast SEO analysis, languages without function word support can have longer focus keyphrases, because there might be function words like the or for between your content words. We’ve deprecated the assessments that check the length of your URL and whether your URL contains stopwords. The rest of the assessments of the SEO analysis remain unchanged. You can find all the different checks in Yoast SEO on the assessment overview page. Yoast SEO Premium users also get a new feature: the stale cornerstone content filter. We already offered the possibility to mark your most important posts as cornerstone content, but we’re adding a feature that helps you keep that content fresh. The stale cornerstone content filter helps you keep these updated. It gives you a notification in the WordPress post overview once a cornerstone content article hasn’t been updated in over six months. Here’s how you can use the stale cornerstone content filter. Yoast has continued to improve the way they help content producers like myself achieve better SEO with respect to our articles and reviews. I’ve grown to trust their prowess in staying up to date with changes in best practices as it relates to Google and other search engines. As a result, my SEO writing has improved, and I tend to trust their opinions when it comes to subtle shifts in content and formatting recommendations. Their newest SEO analysis changes are no exception. I thought the previous version was good in that it improved the way I wrote and presented my webpages and blogs. However, in my opinion, the new version is more user-friendly and produces better results. I rate it 5 stars. I think Yoast SEO analysis is an awesome tool that has helped improve my online writing immensely. I can’t imagine doing what I love to do without the help of Yoast’s SEO analysis. Yes, it’s a pain in the behind at times. But at the end of the day, SEO analysis is that omnipresent, yet silent content editor and writing coach we all need. Thank you Yoast for building such an outstanding product. Yoast is constantly analyzing their processes to help me optimize my content. I like that they don’t waste my time with unnecessary analysis. Everything is on point and relevant. I think especially the live marking of text areas is a really good thing. For instance for transition words or keyword distribution, the analysis a tremendously helpful. When I change something, I see the effect it has in real time with no save or refresh necessary. It’s demanding but fun to work with Yoast! It was a great tool before, now it feels more polished and more helpful. You might think we’d rest on our laurels for a bit after all this hard work, but that’s very far from the truth. Part of the why of this project was to fully update the SEO analysis and to make it easier to keep it up to date. SEO is never done, so we’re never done improving the best SEO plugin out there! We keep researching, testing and tinkering until the end of our days. And, of course, there are a couple of search engines we closely follow that sometimes like to shake things up. We’re ready for that! Want to know more about the background of this project? We’ve made a documentary about the process, which you can view below. Or you can read Marieke’s behind the scenes post — she was the project’s lead. That’s Yoast SEO 10.0 for you. We’ve revamped the SEO analysis and made it more relevant and helpful for you. We’ve enriched the feedback you get, so you can improve your content in a more natural, realistic way. Enjoy this new release! As always, we’re open to feedback and we’ll continue to fine-tune our releases based on user feedback. We’d like to thank all participants in our beta test and, of course, you, for using Yoast SEO! How can I get the sitemap file to add to google search console. You got this option before and now its gone. Hi Susie. Sorry to hear you are experiencing issues with your sitemap. Could you tell me more about what you are seeing? Also, could you please try the steps in these articles? 1. Single title: H1s should only be used as your main title. Find all H1s in your text that isn’t your main title and change them to a lower heading level! I never had this and I only use 1 H1 header and the rest is H2. H3 or higher etc. 2. Keyphrase in the introduction: Your keyphrase or its synonyms do not appear in the first paragraph. Make sure the topic is clear immediately. Even when I do this it is still appearing. what next? Hi Emile. The single h1 assessment is new. It checks whether you are using h1’s correctly. In your case, it could be that your theme uses multiple h1’s. See the source code of your article page, search for h1 and see if there a two (or more) different h1’s. Regarding the second issue, could you send me your text so I can check what’s going on? Should I add outbound do follow links (at least one) in every blog post? Why this strategy is not passing link juice to others? Hi Manoj. It’s not mandatory, you can do whatever you want. This isn’t to boost your rankings, rather than keep the open web healthy. Seem to be having XML sitemap issues on my site since the update. Anyone else with this issue? Hi Ryan. Sorry to hear that. Could you tell me more about what you are seeing? Also, could you please try the steps in these articles? Yes, I do. That’s why all my rankings on google have changed. Did not parse stylesheet at ‘https://example.com/wp-admin/widgets.php’ because non CSS MIME types are not allowed in strict mode. Now widgets and theme options are broken. Disabling local seo gets my site back to normal. The previous version of local SEO did not produce this error. Hi Josh. Sorry to hear that. We’ve updated the plugin to 10.0.1, could you please check if the latest release works for you? Sry, I do not see a version 10.0.1. Neither in my wp plugin list (cache cleared, etc.) nor in myYoast downloads. All is stil 10.0. Is the update available, yet? Hi Jana, I was talking about the Local SEO plugin. There’s no 10.0.1 of Yoast SEO itself. Thanks a lot for this quick fix Yoast Team! I can happily confirm 10.0.1 fixed this error for me. i updated to the yoast v10.0 on my site, but The keyphrase density look different than before. Would my articles must be edited at all?? Interesting but why can I not (yet) update to this version? Nice. I had the same. Could you share how you did it? I am facing a problem in the classic editor after new update of Yoast 10.0. No readability or SEO score is displayed, the Yoast SEO section is blank and also my classic editor is not working properly. Please help what to do. Hi Pankaj. Sorry to hear that. Are you using the OneSignal Push Notification plugin by any chance? If so, there was a bug in that plugin that crashed Yoast SEO. Please update that plugin to the latest version. Did you entered the focus keyword (keyword which you are targeting) in the focus keyword section. Because without focus keyword Yoast will not show you any data about SEO. Sorry but it is having error in my 2 websites. And i checked it in freinds website also new update is having error. Hi. Can you give me some more information please? Sir Yoast seo features are not visible below the post. And when I m deactivating classic editor plugin it is visible. Please fix this issue. Hi Wasim. Sorry to hear that. Are you using the OneSignal Push Notification plugin by any chance? If so, there was a bug in that plugin that crashed Yoast SEO. Please update that plugin to the latest version. I am facing problem in classic editor after new update of Yoast. The editor is not working properly. Same here. Yoast SEO not shown on product editor which using classic editor (im using woocommerce). Thank you, Edwin. The solution has fixed my problem. Thanks edwin. I uinstall onesignal plugin and yoast seo is working again. Thank you that worked for me! They did release an update today but the only way to get it working is to deactivate for now. This looks like an exciting update! Are there any breaking changes that we should be aware of?